In just one month, Marvel fans will be settling down to watch Avengers: Endgame, ready to get at least some closure to the questions that have kept them tossing and turning over the past year. Will those who were vanished into nothingness be able to make a return? Will Thanos get the comeuppance he so deserves? And will Bruce Banner and Black Widow finally confess their blatantly obvious feelings for one another? Luckily, this upcoming installment has more than enough room to explore a multitude of plot lines, with a very generous running time of three hours, two minutes. This is notably longer than Avengers: Infinity War, which clocked in at two hours and 40 minutes. 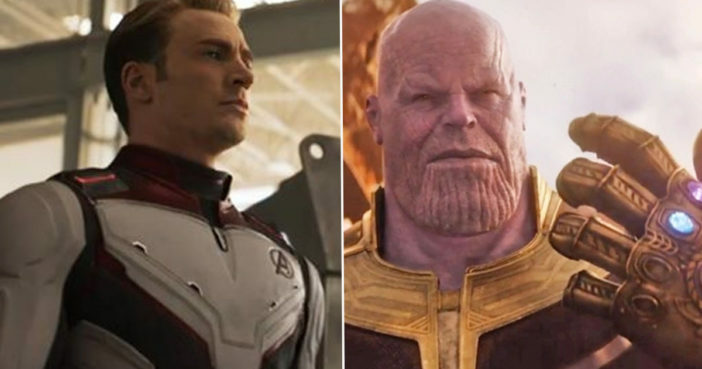 Plenty of time for reunions, revenge and restoring order to the Marvel Cinematic Universe, plus plenty of moments left for the witty back-and-forth and emotional connections we’ve come to expect from our superheroes. News of this ambitious running time was announced on the AMC website, before being tweeted by MCUComics.com founder Jeremy Conrad. AMC has update their website with the official synopsis for #AvengersEndgame and lists the runtime as 3 hours, 2 minutes. Prior to this, fans already had an inkling they were in for a real whopper of a movie, with the Russo brothers having already stressed the importance of the movie being long enough to carry the plot. We’re still doing work to it. We’re not done with it. Again, this is a culmination film of 22 movies, it’s a lot of storytelling to work into it. Emotion is an intrinsic part of that to us. When you have to tell a really complicated story and you want strong emotional moments with the characters, it just requires a certain amount of real estate. This one, in particular, feels like three hours worth of real estate. Of course, some people might have preferred a snappier, more compact film with all the fat trimmed right back. But why rush things to an inadequate conclusion after a build-up 11 years in the making? Like a delicious, intergalactic feast, there’s much to be savored in the Avengers films. And the interweaving narratives work best as a whole when allowed to unfold naturally; steered by lovingly crafted dialogue and character growth.